Originally published under the title "The Burden of the 1967 Victory." The collective yearning among Israelis for a decisive, 1967-style victory is unrealistic. 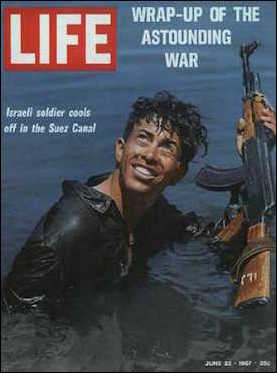 In June 1967, the Israel Defense Force (IDF) waged war alone against Egypt, Jordan, and Syria. It achieved a stunning victory in six days. The military skill demonstrated by the Israelis was remarkable – so much so that battles from the Six-Day War continue to be studied at war colleges around the world. Israel's military achievement had another extremely important effect. It went a long way towards convincing the Arab world that Israel cannot be easily destroyed by military force; Israel is a fact the Arabs must learn to live with. Indeed, ten years later – after Egypt had lost another war to Israel, this one in 1973 – its president, Anwar Sadat, came to Jerusalem (November 1977) to offer peace. The swift and decisive victory of 1967 became the standard to which the IDF aspired – and the kind of victory expected by Israeli society in future engagements. This is problematic, considering the ways Israel's opponents have changed and the means they now deploy. The unrealistic anticipation that victories on the scale of 1967 should be the end result of any military engagement hampers clear thinking and impedes the adoption of appropriate strategy and tactics. Moreover, it encourages what is often an impossible hope for a quick end to conflict. In the absence of a clear-cut and speedy outcome, Israelis lose confidence in the political as well as the military leadership. Unrealistic expectations of 1967-scale victories hamper clear thinking about strategy and tactics. Israelis, many of whom have limited military experience, still long for decisive victories in the Gaza and South Lebanon arenas. The wars in which the IDF has participated so far in the twenty-first century, which appeared to end inconclusively, left many Israelis with a sense of unease. They miss the victory photographs of the 1967 war. Slogans of the Israeli right, such as "Let the IDF Win," reflect this frustration. Similarly, the left claims that Judea and Samaria can be safely ceded to a Palestinian state because these territories can be reconquered, as they were in 1967, if they become a base for hostile actors. The calls for the destruction of Hamas also bear witness to a lack of understanding of the limits of military power. But grand-scale conventional war, in which the IDF faces large armored formations and hundreds of air fighters as it did in 1967, is less likely today. The 1982 Lebanon War was the last to display such encounters. Since 1982, Israel has scarcely fought any state in a conventional war. To a significant extent, the statist dimension in the Arab-Israeli conflict has itself disappeared. Egypt and Jordan are at peace with Israel. Syria and Iraq are torn by domestic conflict and are hardly in a position to challenge Israel militarily. Many other Arab countries, such as the Gulf and Maghreb states, have reached a de facto peace with Israel, an orientation buttressed by the common Iranian threat. 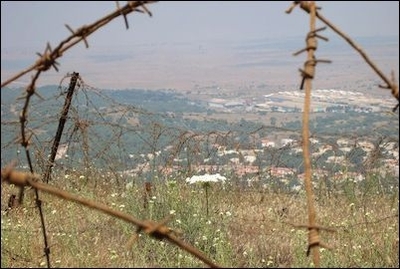 Some of the world's deadliest non-state military forces are deployed close to Israel's border with Syria. For the past three decades, Israel has been challenged primarily by sub-state actors, such as Hamas (a Sunni militia) and Hezbollah (a Shiite militia). Such organizations have a different strategic calculus from that of states. Because of their religious-ideological zeal, they are more difficult to deter than states, and their learning curve is much slower. It took Egypt three military defeats (1948, 1956, and 1973) and a war of attrition (1968-70) within a span of 25 years to give up the goal of destroying Israel. In contrast, Hezbollah has been fighting Israel for a longer period and remains as devoted as ever to its goal of the elimination of the Jewish state. The heavy price inflicted upon Gaza since 2007 by the Israeli military has not changed the strategic calculus of the Hamas leadership, which still aspires to Israel's demise. Hamas and Hezbollah do not possess arsenals of tanks and air fighters, which would be easy targets for Israel. The decentralized structure of their military organizations does not present points of gravity that can be eliminated by swift and decisive action. Moreover, their use of civilian populations to shield missile launchers and military units – a war crime – makes IDF advances cumbersome and difficult due to slower troop movement in urban areas and the need to reduce collateral damage among civilians. Urbanization among Israel's neighbors has greatly reduced the empty areas that could have been used for maneuvering and outflanking. The use of the subterranean by Israel's foes, be it in Gaza or South Lebanon, is another new element that slows advances. The patient, attritional use of force is the best approach for dealing with Israel's current conflicts. It is naïve to believe the IDF can or should win quickly and decisively every time it has to flex its muscles. Yitzhak Rabin warned several times during his long career against the expectation of a "once and for all" victory. The defeat of Israel's new opponents requires a different strategy: attrition. Israel is engaged in a long war of attrition against religiously motivated enemies who believe both God and history are on their side. All the IDF can do is occasionally weaken their ability to harm Israel and create temporary deterrence. In Israeli parlance, this is called "mowing the grass" – an apt metaphor, as the problem always grows back. The patient, repetitive use of force is not glamorous, but it will eventually do the trick. Unfortunately, many Israelis do not understand the particular circumstances of the great 1967 victory. They have lost patience and do not realize that time is, in fact, on Israel's side.